Marriage vows are promises each partner in a couple makes to the other during a wedding ceremony based upon Western Christian norms. They are not universal to marriage and not necessary in most legal jurisdictions Marriage vows express the promises each partner commits to one another, from their wedding day onwards. For today, tomorrow and forever. Vows are deeply intimate pairing of ambitions and ideals, how you wish to care, nurture and love your beloved through the seasons of time and life. 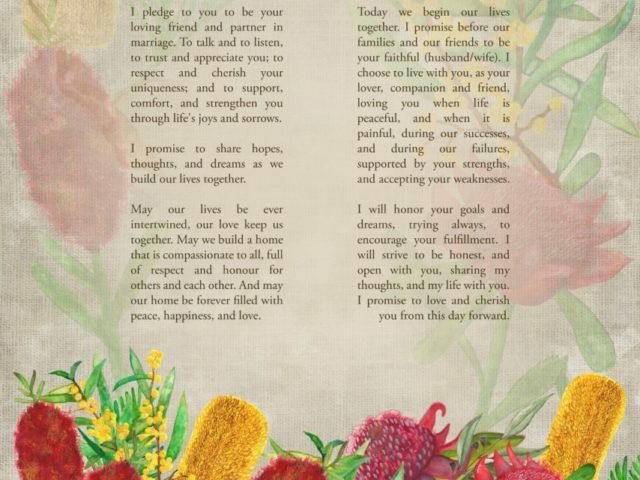 Immortalise the vows you recite to each other from your big day. 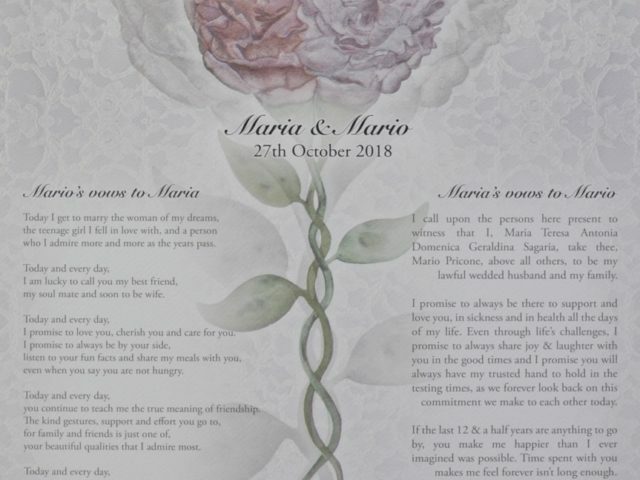 Have your vows married and united into visual dialogue through commissioning a bespoke piece of art. Like the love of two soul mates, bring them into harmony and proximity through a composition that that honours the foreverness of what you declare. Speak to Ryan about commissioning an artwork that gives expression to your love story – past, present and future.